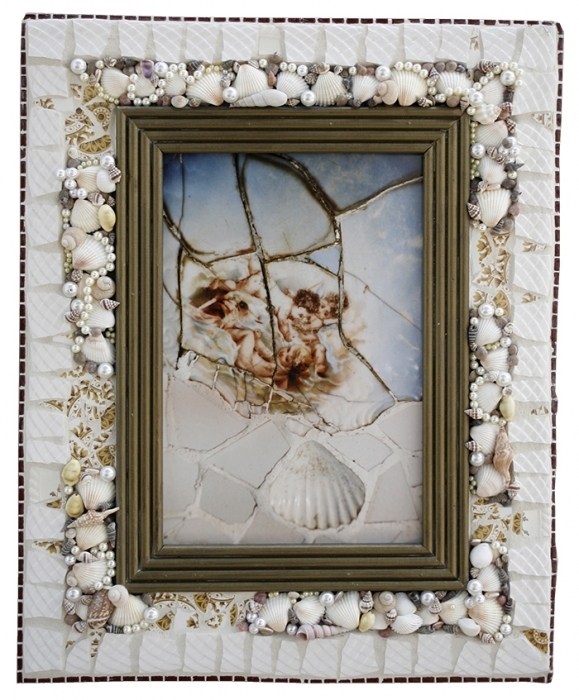 color photo in handmade mosaic frame 19" x 23"
Gaudi Angels photograph taken in Barcelona, Spain is a detail of one of Antoni Gaudi's pieces. I was so excited after my Gaudi tour in Barcelona, that I added mosaics to all my handmade signature frames using all sorts of materials. 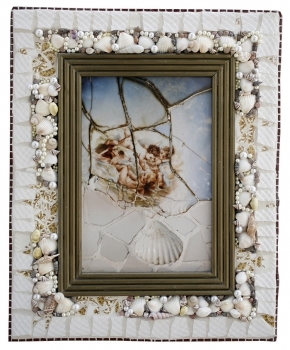 This image is soft and heavenly and perfect for a powder room or meditation space.